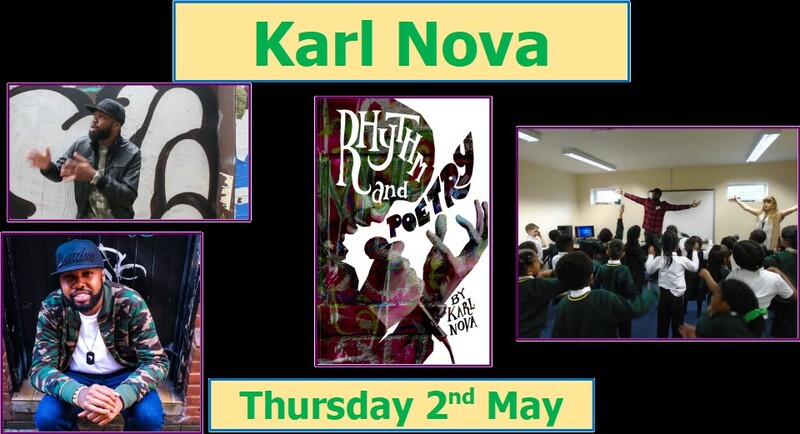 We are delighted to tell you that performance poet and hip hop artist Karl Nova, will be coming into school on Thursday 2nd May to talk to Key Stage 3 about his poetry and music before leading creative writing workshops for students from year 7 and year 8. Karl Nova is one of the UK's leading poets and hip hop artists, delivering his work in his own unique, witty and energetic style. Born and raised in London as well as Lagos, Karl always found it difficult to 'fit in'. This is reflected in his music because he speaks as one who knows what it is like to be on the margins. In a world where conformity seems to be the key in gaining acceptance, he has always been one to defy expectations and go against the grain. Karl’s book will be available for students to buy in advance or on the day, for €8, and he will sign it after the presentation.